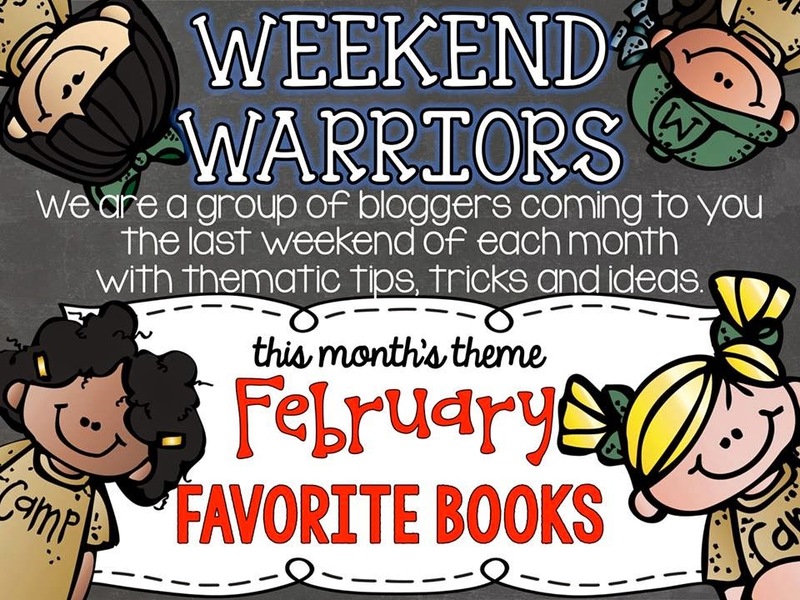 We're here again for another month's edition of Weekend Warriors. This month's theme is Favorite Books. I think I could write a blog post every day of the school year about my favorite books. There are just SO many great books out there! I find new ones everyday it seems. 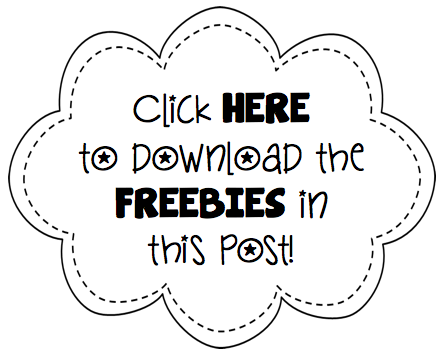 So here are just a few that I love and a couple freebies to go along with them around making connections to texts. These books are actually PERFECT for the beginning of the year and back to school time, but they can really be used at any time because some classes (all classes, really) need some refreshers now and again about the importance of kindness. 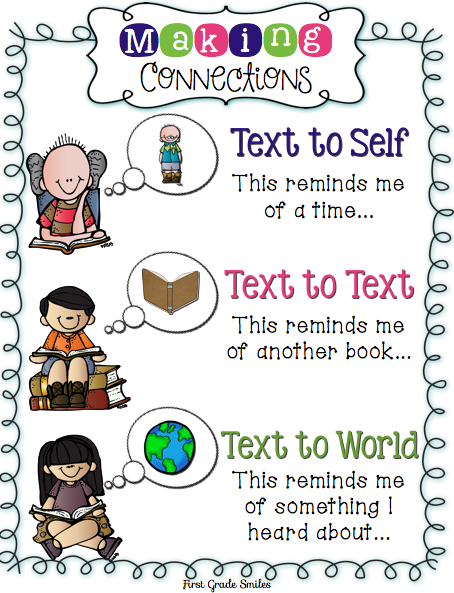 Before I get into the books, here is a mini anchor chart I put together to use when talking about the different ways to connect to a text. 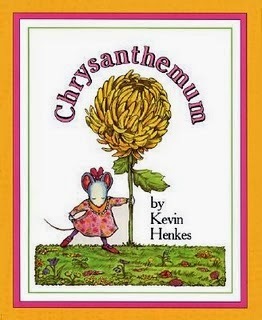 The first book I love to use is Chysanthemum by Kevin Henkes. I LOVE using this book, at the beginning of the year especially. This is the ideal book to discuss Text to Self Connections. 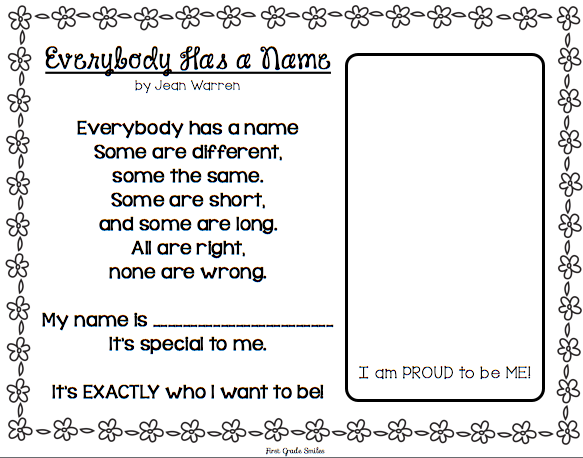 All students can connect with this cute little story about a mouse name Chrysanthemum. She LOVES her name, until some of the other kids start making fun of her. Not cool! This first idea I got from First Grade Wow to go along with this book. She cuts out a large paper heart and passes it out to the students while she reads the book out loud. She says everytime someone makes fun of Chrysanthemum to crumple up the heart a little more. At the end she looks at the heart and talks about how Chrysanthemum felt when the other kids were making fun of her name. Then they try to smooth out the heart, but it doesn't really smooth out completely. She uses this poem to go on the heart and has the kids write their names on band-aids to put on the heart. 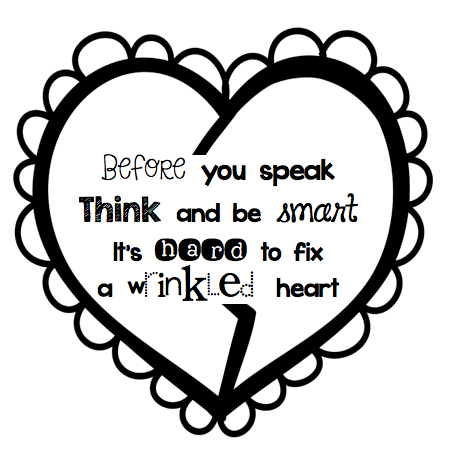 This is hung up all year long as a reminder that words can hurt and kind words are best! 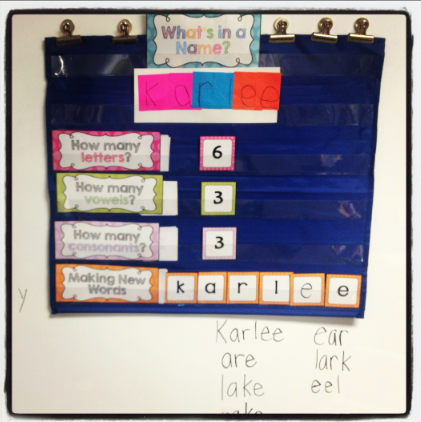 Such a cute idea and a great classroom moment! After this activity I do some more activities with the students' names. You can read this post from last year where I discuss this a little more. 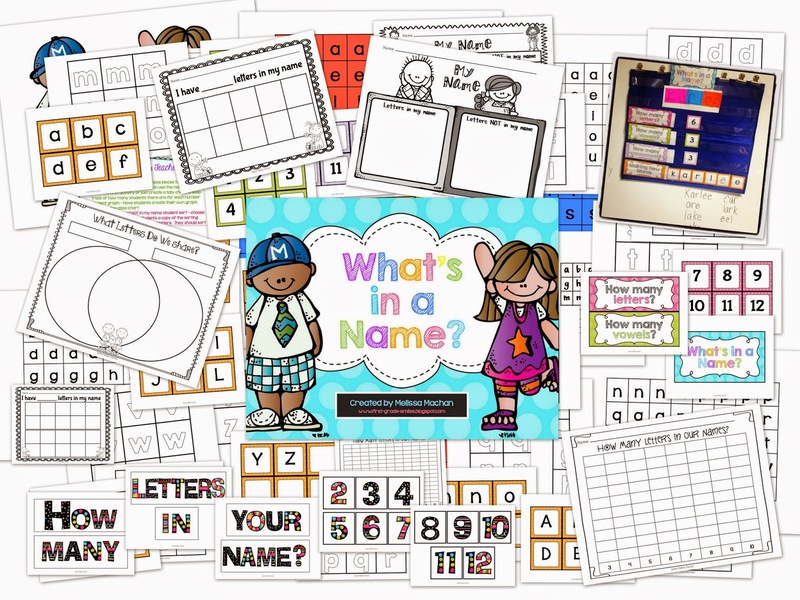 I love to spend time where kids get to know each other, but it's also fun to just do some fun activities about something they know a lot about - their names! And here is a little poem I found that I also be using this year when we do these activities. Just a cute reminder of how we should be proud of who we are! 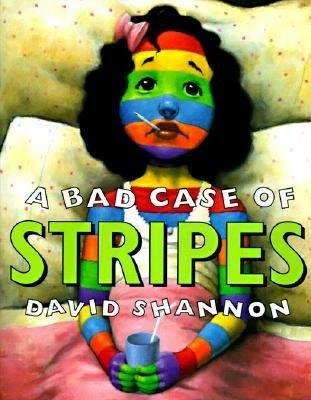 The next book I like to use is A Bad Case of the Stripes by David Shannon. 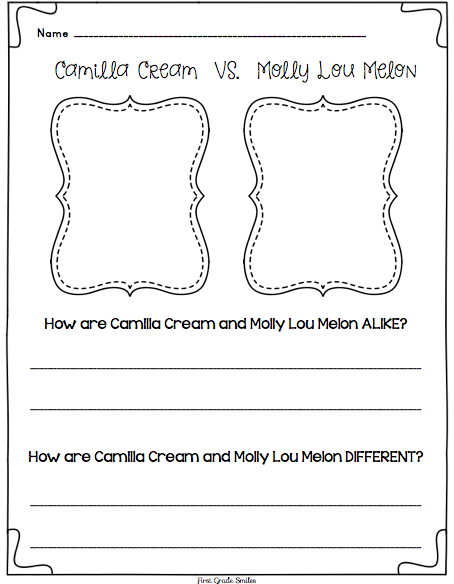 This book is about Camilla Cream who loves lima beans. But her friends don't like them, so Camilla decides to stop eating them. It is a great book about how you should be yourself no matter what other people think! 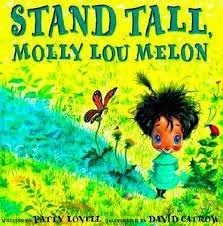 I love to tie this story in with the next book: Stand Tall Molly Lou Melon by Patty Lovell. These two books are PERFECT for a little Text to Text connection. 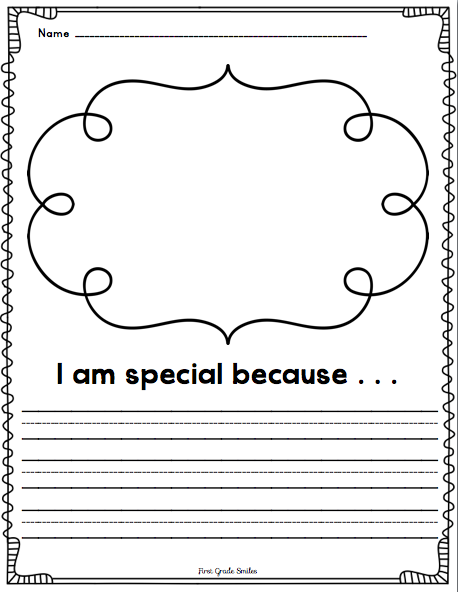 I think it's important for students to reflect on why they are special. 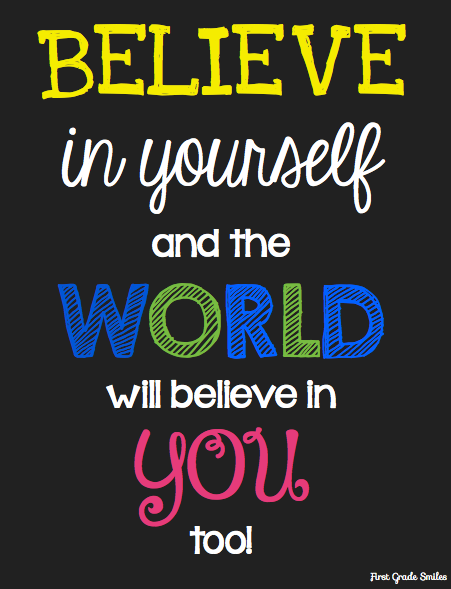 I spend lots of time sharing these altogether and celebrating what makes us all special people. At the end of all of these books, I try to bring it all back to a very important topic - bullying. In each of these books there are kids who are being bullies. Text to World connections come in here. We discuss what a bully is and how they make us feel. We also talk about how we can get rid of bullies and one way to help is to stand up to bullies. Here is a quick little activity we do where we talk about about what we can do if we see bullying or if it happens to us. 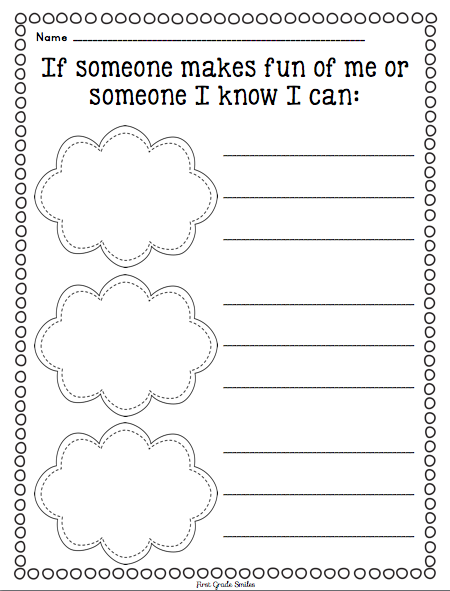 I make an anchor chart for ideas of what we can do and then the students complete this sheet. Since I'm not in school yet I don't have a picture of the anchor chart but some ideas we come up with are: tell an adult, tell them to stop, walk away, avoid the bully, be nice to the bully (make friends with the bully). I think it's important to give students ways to deal with these problems because we all know they will encounter this at some point in their lives - probably many times. So wraps it up for me today. If you are interested in any of the activities I shared in this post you can get them for FREE by clicking below. I hope you like them and can use them! Now don't leave yet! 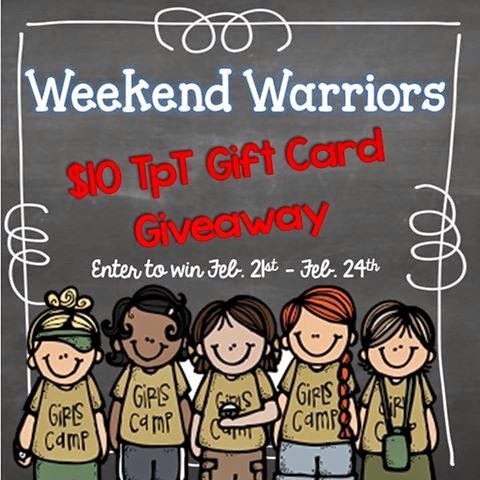 Now you can enter to win a Teachers Pay Teachers $10 Gift Card and then move on to the other amazing blogs below to read more and enter more giveaways. I love giveaways! I love teaching 1st grade! Happy Saturday! I love Molly Lou Melon too! That quote is my favorite. Thank you for sharing all of these great freebies with us Melissa! I am going to file them away for Molly Lou lessons next school year! Thank you for all these great freebies and idea! I love that quote and the text to text anchor chart. Awesome post!